Barbie Girls is a two-part concept. It's a Website that comes to life on BarbieGirls.com, where girls can create virtual characters, design rooms, shop at the mall using virtual money called "BBucks" or just hang out and chat with their other virtual friends. 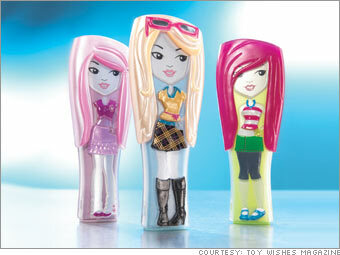 The second component is the "Barbie Girl" device - a doll-shaped MP3 player that comes with its own accessories. The MP3 player can hold up to 120 MP3 songs with expandable memory.